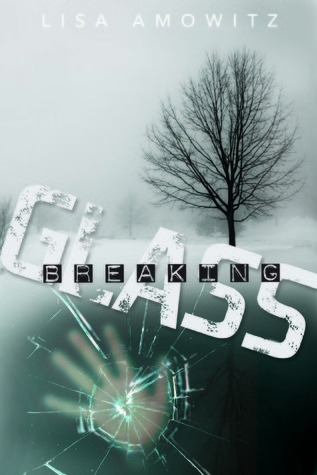 Welcome to my stop on the Breaking Glass blog tour!! Hi Everyone! Kristin asked me to talk about the Writing Process here on Blood,Sweat and Books. Book ideas usually come to me when I least expect them to, and often while driving on a country road, or daydreaming somewhere. This year with the release of Breaking Glass, there has been little time for daydreaming, so new book ideas have been nonexistent. Hopefully as I become more accustomed to juggling book promotion with the discipline of writing, I will get better at this. For me, in general, the process often goes like this. A weird thought pops into my head, often prompted by an intriguing location, an odd encounter or even a news story. Often there is music involved to set the mood. I will jot the idea down in a notebook or computer file (which I will subsequently lose). I probably have scores of forgotten ideas tucked in nooks and crannies all over the place. 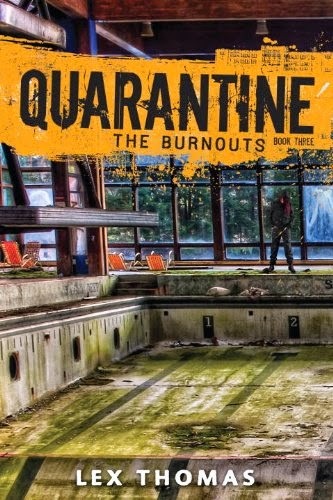 It’s a little like Survivor: Book Idea in that the best concept wins out and gets my full attention. That can take years. Once I decide an idea has “legs,” in that it is viable and fits in with my other writing (read: is potentially publishable—unlike my Nathan Hale YA paranormal obsession of two years ago. Nobody had the heart to tell me, but I wouldn’t back down—yeah I am still thinking how I can do it. See if you can find the Nathan Hale reference in Breaking Glass), I start a Scrivner document. I begin with character outlines, fleshing out physical and personality traits along with backstory. Then I research websites for weird things I need to know. (For Breaking Glass my research spanned strange topics—from the Kabbalah to antique carousels to high tech prosthetic legs). Once I’ve got a nice body of info and I can’t avoid it any longer, I go out and buy a pair of shoes to avoid starting. Shoe shopping is absolutely part of the process. Beginnings make me nervous because there so much is at stake. You’ve got to set the mood, establish voice, all while not boring your reader to tears. You have very little time to hook them. I’ll usually start with that first sentence and if I like it, keep going. If the book is ripe to be written the first chapter will flow. With Breaking Glass I wrote the first chapter about six times before I let anyone read it. Then my critique group chomped it over and voiced concern about the believability of a boy who seemed perfect to an outsider but had so many hidden issues. I felt in my heart such a person could exist, though I had no history of alcoholism in my family. I researched but still felt a bit uncertain. I called my dear friend, the psychotherapist Debbie Cohen, and in one short conversation she did an analysis on Jeremy Glass. Diagnosis: Post traumatic stress disorder caused by some horrible event in his past. That really got the ball rolling. It all suddenly fell into place in one shimmering star-crossed moment. I thanked Debbie profusely and started to write like a maniac, with Jeremy whispering snarkily in my ear. Once Debbie made her diagnosis of Jeremy, the book began to flow. Until the plot threatened to choke me to death. That required many long-winded conversations with my critique-mates. It was slow-going, with repeated writing, re-writing, back pedaling and pulling out my hair. I was seven months in from after writing that first chapter and stalled out. “You guys are nuts,” I said. Kate’s eyebrow lifted a notch higher in that wry Kate way of hers. Dhonielle started jumping up and down in her chair. So amazingly, I finished the next perhaps, 23 chapters in two weeks just because Kate told me I could. End of story? Hell no. It ended up getting revised probably five more times before it landed on the desk of my soon to be editor at Spencer Hill Press, Vikki Ciaffone. “I want this!” she cried, nearly barreling over another editor with her petite 4 foot 10 inch frame. And she got it. But guess how many more revisions Breaking Glass went through before it became the book it is today. How about three? Ah, who knows anymore. It’s a lot quicker gestating a human being. Thanks for having me, Kristin. This was a really fun post to do! Thanks for stopping by Lisa and sharing a bit about your writing process. On leaving college, Lisa became a graphic designer living in New York City. She eventually married her husband of a zillion years, had two lovely children, and was swept away to a fairy tale life in the Bronx, where, unbelievably there are more trees and wilderness than her hometown. BREAKING GLASS which will be released in July, 2013 from Spencer Hill Press, is her first published work. VISION, the first of the Finder series will be released in 2014, along with an unnamed sequel in the following year. LIFE AND BETH will also be released in the near future, along with really cool graphic novel style art. So stay tuned because Lisa is very hyper and has to create stuff to stay alive. Custom Pendant, An Arc Of Breaking Glass or Custom Artwork done by the Author herself! This sounds really interesting! I am getting the itch for some good creepy stories, and this one sounds like it needs to make the list. Thank you for the post and sharing the giveaway! Looking forward to this one.